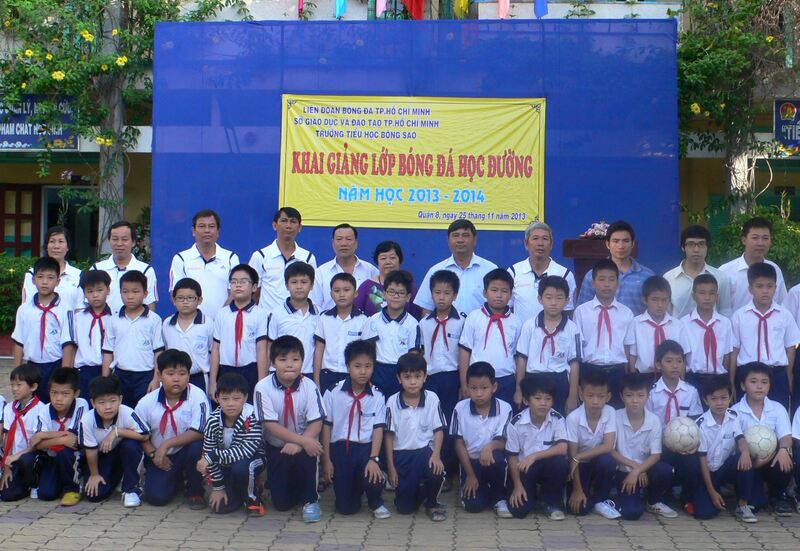 In the morning of november 25th 2013, the school football course was kicked off at Bong Sao primary school which is located at 196 Bui Minh Truc, ward 5. district 8, Ho Chi Minh City- after receiving allowance from Ho Chi Minh football federation (HFF) and Organizing board of school football. 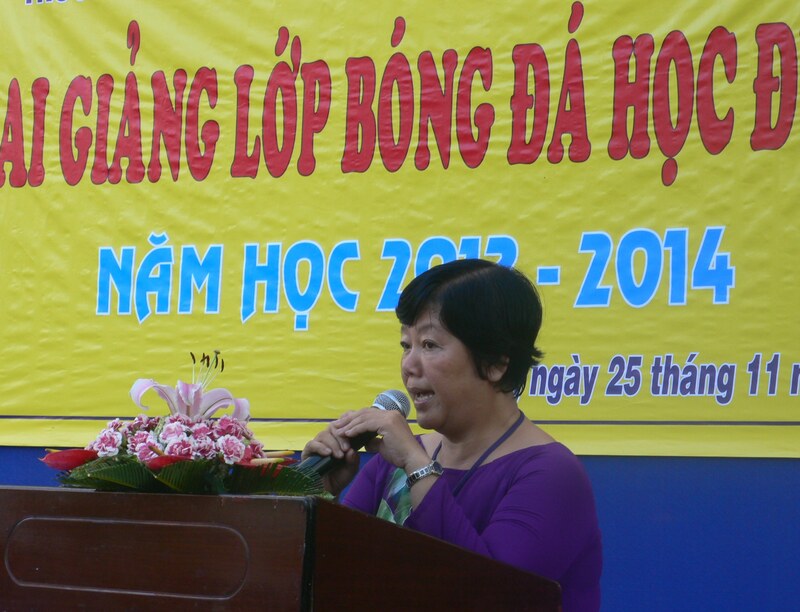 Delegates attending ceremony included Mr Tran Dinh Huan- general secretary of HFF, Ms. Tra Thi Kieu Loan- principal of Bong Sao primary school together with teachers and pupils. After having applied many school football projects at 48 organizations in Ho Chi Minh City as well as former success project at Lac Long Quan primary school. 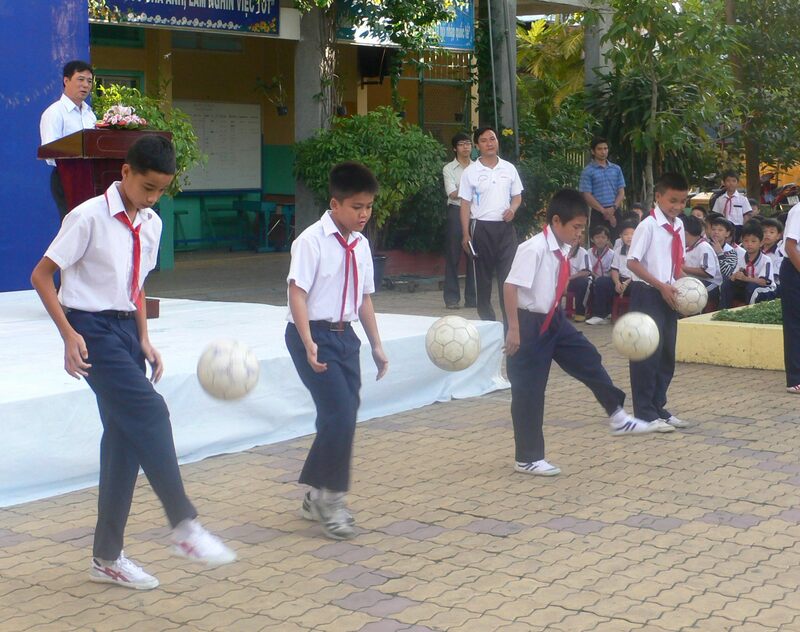 Ho Chi Minh football federation decided to cooperate with schools to support equipment, training syllabus for Bong Sao primary school. 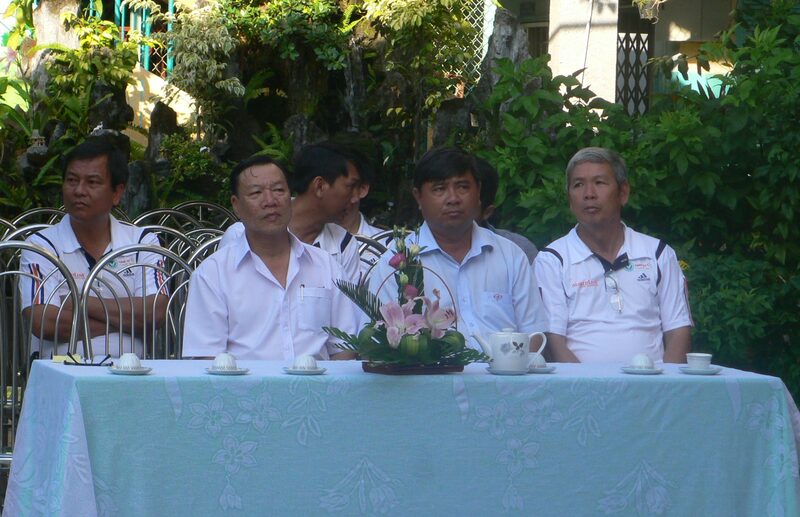 According to Ms Tra Thi Kieu Loan this sporting program is supported by pupils, families and teachers. However, It needs time to attract many pupils. 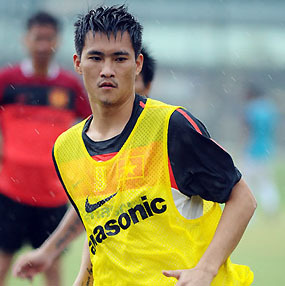 Bong Sao primary is located on 60 ha area and has more than 2500 students within 60 classes and 80 teachers.